Only few teams have been able to draw Chelsea this season and Burnley joined the League, staging a play that Chelsea and Conte will term surprising. 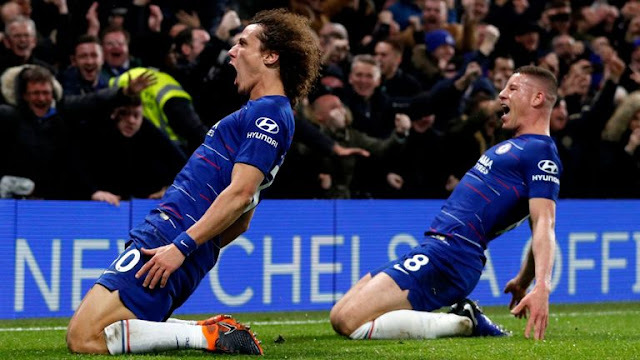 The Blues started out well in the early minutes of the game, taking Burnley on a fast counter and ending it with a goal in the 7th minute, Pedro Rodriguez gave them the lead but like few other teams in the League who had been in this position, Burnley recognized themselves and this got them an equalizer. Burnley showed a spectacular feet and almost won the game for themselves, getting back into the game with some nice free kick from the Claret's record signing Robert Brady. 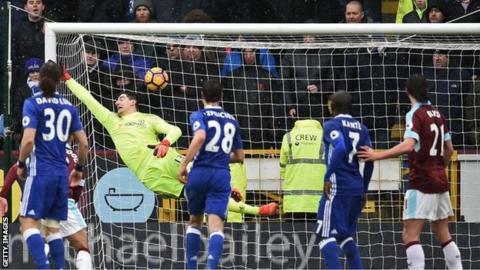 Chelsea had no shot on target in the second 45, as the host Burnley took the game to them coming close and Thibaut Courtois made a couple of great saves in either half from Matt Lowton and Andre Gray. Burnley Sean Dyche: "Chelsea are a fine side. They are the market leaders for a reason and we limited them to two shots on target and that is tough enough. "We made four or five really good chances. I am very pleased overall. The mentality here, I am pleased about the growth in the side. "We are maturing as a side as individuals and as a team. You need assuredness in the Premier League. I was super impressed with our reaction to their goal. We were not disappointed or stepping on the back foot." Chelsea Boss Antonio Conte: "It is one point and for sure we must be disappointed. We tried to win. We started very well and scored a goal and created chances to score the second goal. "We tried to win but we know Burnley at home are not easy. They have taken 29 points at home. Now it is important to continue to work. "I think we tried to build and do our football for sure. Burnley tried to disrupt our play. They played long balls and the second ball is not easy. It is not easy to play against this team. It is very particular. At home they are very tough."